We’ve recently posted blogs about how communities are using social media and technology to share information to keep the neighbourhood safe and also how CCTV is being used to solve crimes other than burglary. Well this story is really a combination of the two – home CCTV systems being used to capture evidence of less-than-community-spirited activity and using social media to identify them. I first became aware of this personally when someone on a local community Facebook group posted about getting really annoyed about the amount of dog fouling in the area and in particular, on the street outside his property. This wasn’t unusual; it was a very common topic that gets brought up on a regular basis. However, there was a difference with this one – the person who raised the issue this time had CCTV and posted, what he claimed was, incriminating CCTV footage of someone allowing his dog to foul with requests that he be named and shamed. Apparently this is quite common. I’ve found several other reports of people using home CCTV to catch out anti-social behaviour. Neighbourhood disputes are the most common. Fall outs that often start with quite small differences of opinion over things like parking, noise and property boundaries can escalate into large scale campaigns to upset and even intimidate each other with people often unable to do anything without evidence. That’s when they often turn to CCTV to catch them in the act. Extreme examples include a man who was caught dumping 50 dead rats into a neighbour’s garden, a police officer stealing a neighbour’s wind chime and burning it on a bonfire and a man deliberately spraying water from a hose into an open top sports car. Other, more comical, stories include gnomes being rearranged or even stolen from gardens – though it may not be all that amusing to the gnome-owners. If you are on the end of this anti-social behaviour, CCTV can seem like a good solution for taking some control back and potentially bringing an end to these issues – and it can be, but you have to mindful of some of the issues of doing this. There are rules regarding home CCTV use – cameras should be focused on your own property and not invade the privacy of other properties, you should display clear signs that inform people that you have CCTV and people have the right to request copies of any recordings of themselves – though you are entitled to charge them up to £10 for this. Sharing images on social media should also be handled with caution. Unless the images clearly show a crime or anti-social act in progress then the person concerned could potentially sue for defamation of character. In the case of a criminal offence, such ‘naming and shaming’ could very easily allow them to claim that their right to a fair trial had been impeded, rendering your footage unusable. You also have to be careful about vigilantism and taking the law into your own hands – not just yourself but anyone you share the images with. Of course, CCTV could act as a good deterrent. 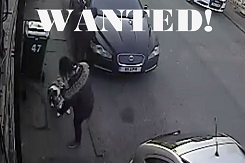 Anyone doing anything underhand, from inconsiderate dog owners to irate neighbours bent on vandalism, would most likely think twice before risking being caught on camera. If you’d like to discuss whether CCTV would be the right option for you, call us on 0800 612 9799 (from a landline) or 0345 833 5543 (from a mobile) or call into our security shop in Wakefield where we can give you a demonstration. next It’s our 40th anniversary this year. And our 10th!